In the hurly-burly of daily life, all too often, the Self happens to get lost. However, with its overall knowledge of our needs and strengths, it would by far be the best personal advisor we can have. 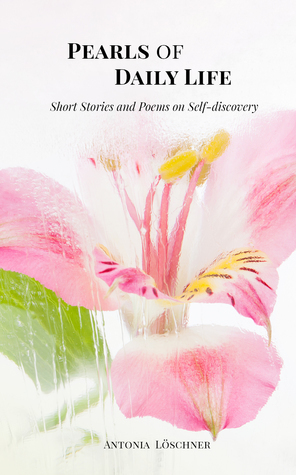 This collection of short stories and poems invites a journey of discovery. Diverse but amicable characters are experiencing the joy of rediscovering their Self in manifold situations of everyday life. A pocket book for small breaks in-between: to explore, reflect, dream, chuckle and relax. I am a socio-cultural anthropologist and certified mediator working as an international life and career coach for life transitions. Since I know from my professional and personal experiences that finding one’s Self and considering one’s needs and strengths is the key to a fulfilling and happy life, my fiction and non-fiction writing revolves around those topics. Especially our introvert, intuitive and creative personality aspects are often neglected in a fast-paced, money-oriented world and might like some more involvement. Therefore my Bookshelves present books of people whose works allow us to experience ourselves emotionally or let us understand even better the human mind. I absolutely recommend all those books, always provided that they are read reflectively. Our lives are really busy. We rush through home life to get to a hectic work life. Rush to get all of the tasks in work done in a day then rush back home to get food made, the family organized, and prepare for the next day. It’s easy to lose our sense of self in this jumble we call life and it’s easy to let outside events affect us. Even the miscommunication with those we love can throw us for a loop. Things like these make us feel bitter and like there is nothing for us in this life. But simply making time for ourselves, doing something we enjoy, and sharing with others our passions can make a difference in our lives. This short book is a collection of poems and stories about that. How can we take a moment and change it for the better? How important is something you do or who you spend your time with? What are you willing to do to make yourself or someone else happy? It’s easy to forget about the little things that mean so much to all of us. This book is a great way to remind ourselves to do something for us, to learn how important it is to take time for ourselves, and how simple things like this make our lives so much easier. I admit that I’m not really a poetry person. But I really liked how this short book made a point of how important you are and how we need to spend time with ourselves to really enjoy life. This is a great little book and one I strongly recommend reading. It will surprise you. I received Pearls of Daily Life from the author for free. This has in no way influenced my opinion of this book.